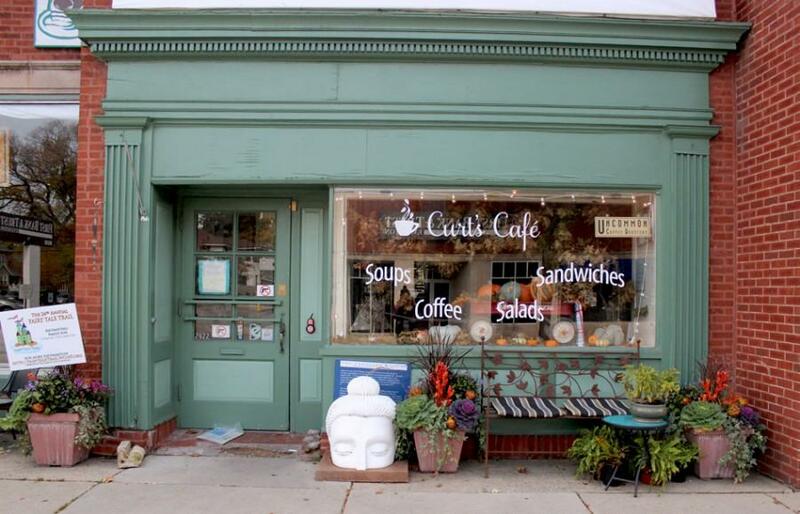 Curt’s Cafe is one of the finalists in the running to win up to $100,000 through a social innovation competition. The Evanston restaurant employs at-risk youth with training in life skills and food services to give them a future after incarceration. Curt’s Cafe, a local restaurant that employs formerly incarcerated young adults, was named a finalist in a social innovation competition, bringing the nonprofit one step closer to winning up to $100,000. Project Impact, sponsored by venture philanthropy fund A Better Chicago, announced Friday the finalists for their competition. Project Impact funds fledgling organizations that improve educational and career prospects for low-income Chicago residents. The cafe, along with five other nonprofits nationwide, were chosen to advance out of 11 semifinalists. Curt’s, 2922 Central St., provides at-risk young adults with training in food services and life skills. Founder Susan Trieschmann said the program at Curt’s is crucial to helping youth have a future after prison, noting that many felons return to prison within a year of being released. “We take in people with black marks on their records, who have to tick the box on job applications,” Trieschmann said. Trieschmann is looking for ways to expand her work. Two months ago, Evanston residents Kristen Hemingway and Nancy Floy started a Kickstarter campaign to open a second cafe in Evanston. Trieschmann said the money was raised and she is currently negotiating with the storefront that Floy and Hemingway want to buy. If Trieschmann wins Project Impact, she said she plans to use the management support and networking opportunities to open a storefront in Chicago. Curt’s currently sends about 30 students through the program each year, Trieschmann said. Evanston probation officers and social service agencies refer students to the program. After the program concludes, Curt’s assists students in finding their next jobs. “Our graduates now work at Domino’s, Office Depot, Walmart, Edzo’s, all over Evanston,” Trieschmann said. Edzo’s Burger Shop, 1571 Sherman Ave., is one of the biggest employers of Curt’s graduates. Brooker said he wanted to give back to the community by helping out kids who are turned away from other employment opportunities. Trieschmann will present her work at the finals event in a few weeks. Curt’s has the advantage of working with a demographic that is not really noticed, she said. Clarification: An earlier version of the article was unclear in how much money each winner will be awarded. Each of the three winners will receive $50,000, with one winner receiving an additional $50,000. Correction: An earlier version of the caption misstated how much money the winners of the competition will receive due to an editing error. The winners will receive up to $100,000. The Daily regrets the error.